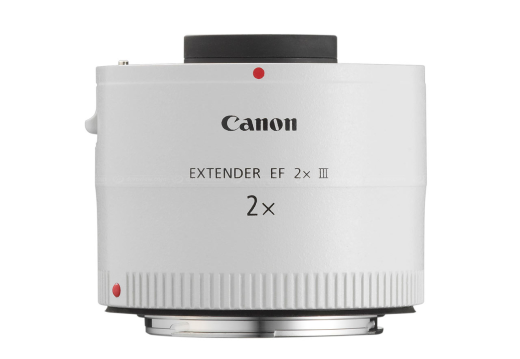 The Canon Extender EF 2x III is a compact extender that increases the focal length of Canon L-series telephoto lenses by a factor of 2x. Its high AF accuracy makes it ideal for press, sports and nature photography. It is also highly resistant to dust and water, and features anti-reflection materials and lens coatings that minimise ghosting and flare to deliver high optical quality.